So often when we make a vegetarian meal, it ends up being a compilation of side dishes. Not that there is anything wrong with that, but sometimes you just want an actual entree. 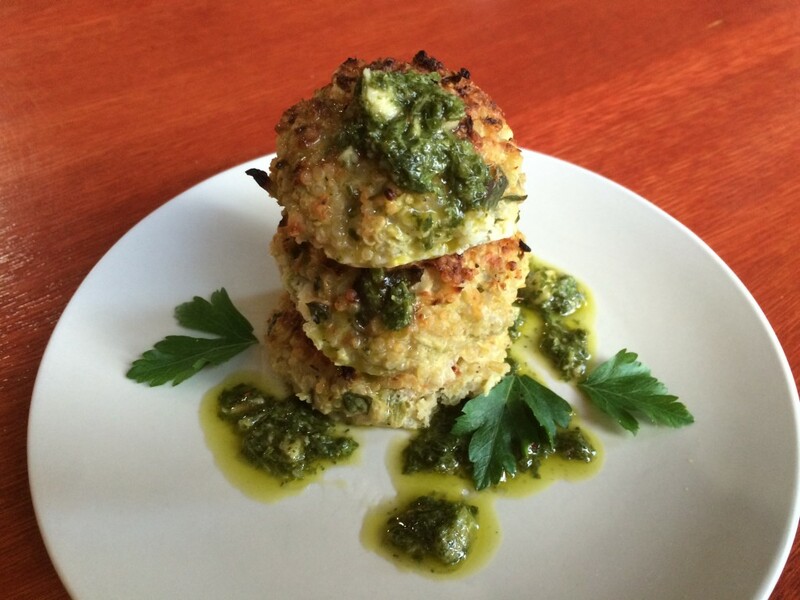 Never fear, Quinoa Cauliflower Cakes with Chimichurri are here! Bring the quinoa and water to a boil in a medium saucepan. Cover and simmer on low heat for 20 minutes. Remove from heat and allow quinoa to sit covered for 10 minutes more. Transfer to a large mixing bowl and allow to cool slightly. Meanwhile place the cauliflower, onions, garlic in a food processor and pulse until well broken down to the consistency of rice. Add the cheese and parsley and pulse a few more times. Transfer to the bowl of quinoa and add the, eggs, lemon, baking soda and salt and pepper and mix well. Scoop out 1/4 cup of the mixture and press together to form a ball. Arrange on the prepared baking sheet and flatten slightly to form a patty shape. Repeat to make about 16 each. Bake for about 25-30 minutes, until golden and firm. 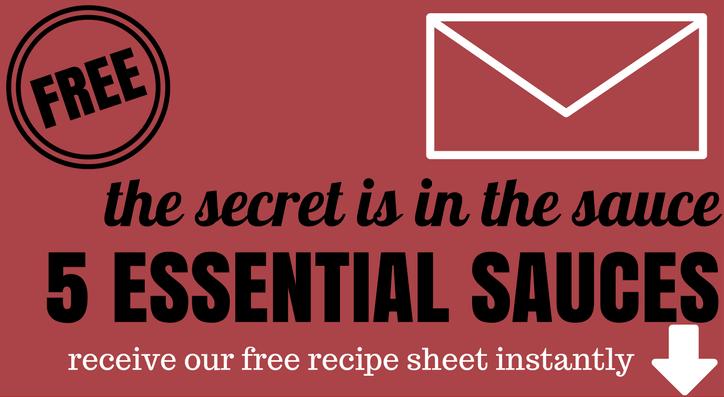 Serve hot with the chimichurri sauce (recipe follows). You can also pan sear these cakes in a non-stick pan. Place all ingredients in a small bowl and mix well. To save time you can place all items in a blender (before chopping herbs) and blend on medium speed until well broken down.